Company Information - Career Communications, Inc.
Buy from a trusted name. 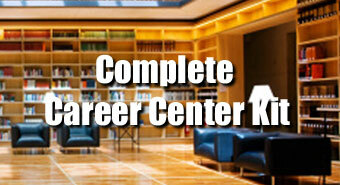 CareerBookstore.com is owned and operated by Career Communications, Inc. Since 1987, Career Communications, Inc. has been a leading provider of career and educational resources to career guidance and workforce development professionals across America. Our customers include thousands of the nation's top colleges, universities, high schools, libraries, correctional facilities, military installations and workforce development centers. We also serve motivated job seekers and students looking for resources to help them achieve career and life success. CareerBookstore.com is your convenient one-stop source to uncover the career and educational publications to help you reach your goals. We invite you to visit CareerBookstore.com and send us any comments or suggestions you have to help you get on the path to career and life success today.